A high school senior attempts to salvage her reputation among her Ivy League–obsessed classmates by writing their college admissions essays and in the process learns big truths about herself in this mesmerizing debut novel-in-verse, perfect for fans of Gayle Forman and Sonya Sones. 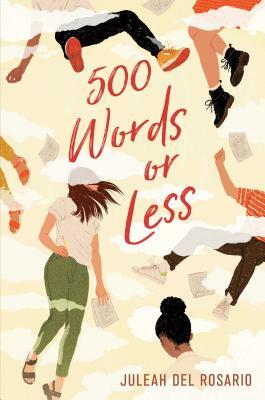 Provocative, brilliant, and achingly honest, 500 Words or Less explores the heartbreak and hope that marks the search for your truest self. Juleah del Rosario is the author of 500 Words or Less and Turtle Under Ice. She wants you to know that she grew up outside of Seattle on the eastside. She currently lives in a book- and mountain-filled existence as a librarian in Colorado. She is Chamorro and Filipina. Most importantly, she wants you to know that you are loved and you are whole.